Preston North End started this years Championship in great fashion by defeating Queens Park Rangers in the first game. Since then, things haven’t gone to plan as they got just one point from the following four matches. Bolton started the season well, winning three times and drawing once, only to lose 3:0 to Sheffield United at home in their last match. Preston will try to get back to winning ways at Deepdale this weekend. The problem will be scoring goals as they only netted three times in five matches so far and one of them was a penalty. The Wanderers haven’t been great either, managing just over one goal per game on average. Three of their players, Buckley, Magennis and Wildschut scored two goals each so far. Buckley was for the Sheffield United match but is expected to come back soon. Bolton are third in the table and will probably stay there after they beat the Lilywhites on Saturday. Chris Maxwell is a Welsh goalkeeper who was born in St Asaph on July 30, 1990. Maxwell began his youth career at Penrhyn Bay (1998-2000) and in 2000 he moved to Wrexham. The 188-cm-tall shoot-stopper made his first-team debut for Wrexham at the age of 18 and he played 76 league games for the club from 2008 to 2012. During the 2008/2009 season he spent six months on loan at Welsh club Connah’s Quay Nomads and in 2012 he joined Fleetwood Town. Chris Maxwell made 110 appearances in the league for the Trawlermen and on May 16, 2016 he signed a three-year deal with Championship side Preston North End. You should know that he managed to keep clean sheets in 38 appearances for the Lilywhites in the 2016/2017 Championship campaign. Due to his dual citizenship, Maxwell is capable of representing both Wales and Scotland at senior level, but he played for the Dragons at youth level, being capped for the U21 team 16 times. 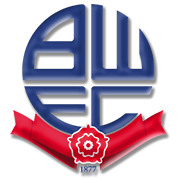 Bolton Wanderers were formed as Christ Church Football Club back in 1874 and three years later they adopted their current name. The Trotters currently compete in the Championship and they play their home games at Macron Stadium, which was opened in 1997. Speaking of the club’s trophies, Bolton Wanderers won the FA Cup on four occasions (1923, 1926, 1929 and 1958), but they have yet to win the Premier League title. The Trotters were producing splendid displays in the 2003/2004 Premier League campaign, with the team finishing the season in eighth position in the standings, which is regarded as the club’s best result in the English top flight. Bolton did well to reach the UEFA Cup knockout stages in the 2007/2008 season; the English outfit eliminated Atletico Madrid in the two-legged tie, but Sporting Lisbon eventually proved to be a big catch for the Trotters. Nigeria international Jay-Jay Okocha is one of the most notable footballers who played for Bolton and he scored 14 goals in 124 appearances in the league for the club. Bury are considered the club’s fiercest rivals.